Jenkins Marine’s Multi-Cat AVON is currently back assisting in the recovery of the historic HMS Invincible. 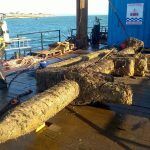 Bournemouth University are working in partnership with MAST (Marine Archaeology Sea Trust), with funding from central government, to recover artefacts from the historic ship. 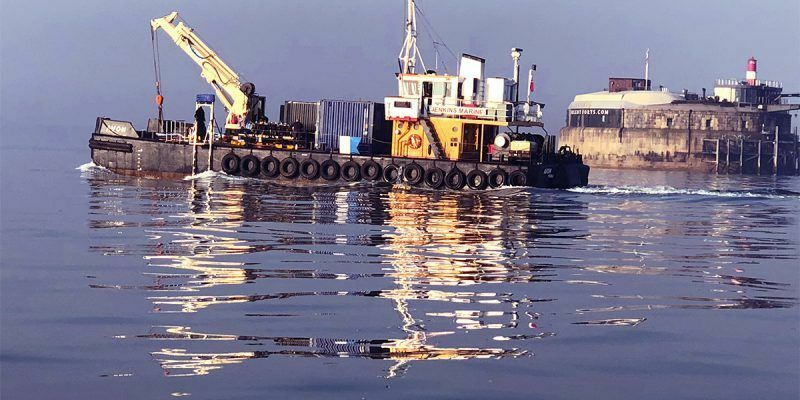 The operation is vital as the wreck is becoming exposed by the natural migration of the sand bank which had until now protected the site. Avon was on hand last year to help with the start of this historic salvage operation. 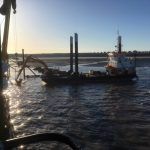 Jenkins Marine have previously worked with Bournemouth university on the historic ‘Swash Channel Wreck’ in the entrance to Poole harbour and AVON was selected for this latest delicate work due to her large working deck area, deck crane, maneuverability and accommodation facilities. 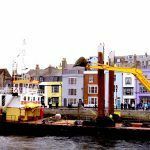 “Offering shallow draft, deck crane, spud legs, and substantial deck space and load capacity, Avon is ideally suited to carry out this kind of diving and salvage support work“. Built by the French in 1744 and captured by the British on the 3rd May 1747, HMS Invincible remains are highly significant both historically and archaeologically. Works commenced end of April and are due to run for two months, to complete around the end of June/early July.